NOTE: The free version offers limited number of merged facility. It helps you closely examine the features of this advanced program. 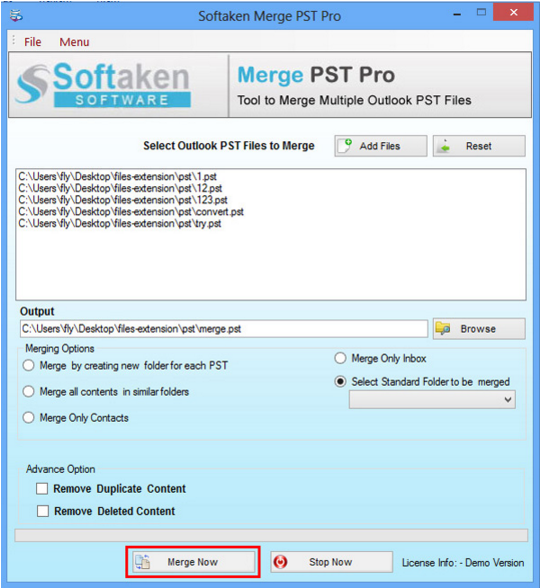 PST Merge Program has been designed to merge Outlook files with just a few simple steps. During merge, the tool maintains quality of files. No data is lost and corrupt. CC, BCC and documents, all data are retained without compromising with quality. Merge Outlook files as per 3 styles. 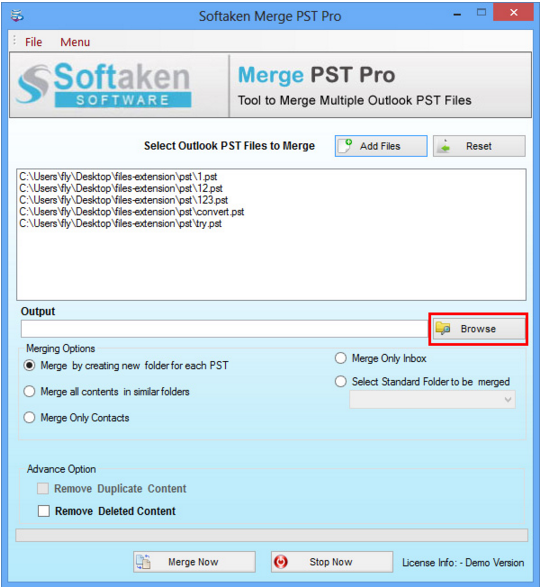 You can merge only contacts, files or just PST. 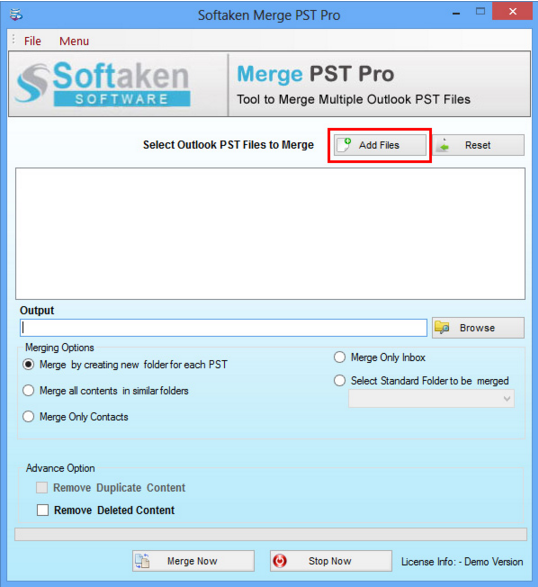 PST Files Merge Pro allows users to choose 3 merge options – join PST files, merge PST file and Merge only contacts. Users can choose any one. Get rid of duplicate Outlook PST items. If you have 2 same items saved in your system, PST Merge tool smartly removes duplicate files/items to avoid unnecessary file collection and to provide more space to your computer. 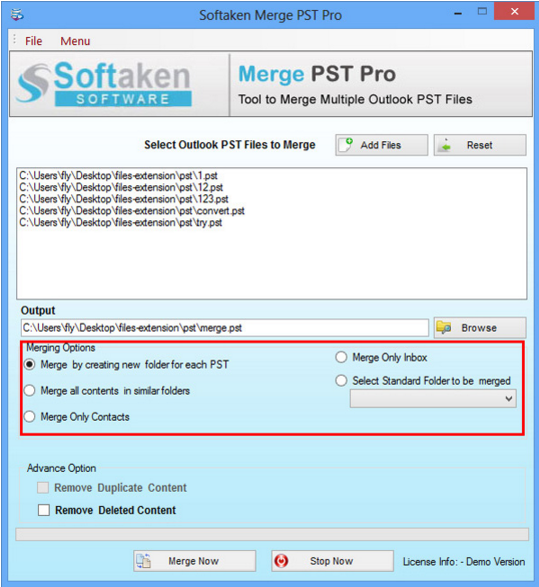 PST Merge supports filter facility where users can able to select files they wish to merge. Unnecessary merging is avoided here. Users can either exclude or include deleted items from a PST file as it provides "Remove Deleted Contents" option. Merged files are allowed to save in a newly created file. It offers easy recognition of merged data.